Marvel’s Mad Titan is fast approaching. As of today, March 7th, Avengers: Infinity War, a film that seemingly belongs to Thanos, is officially 50 days out from its long-anticipated release in North America (April 27th is the date for your diaries). 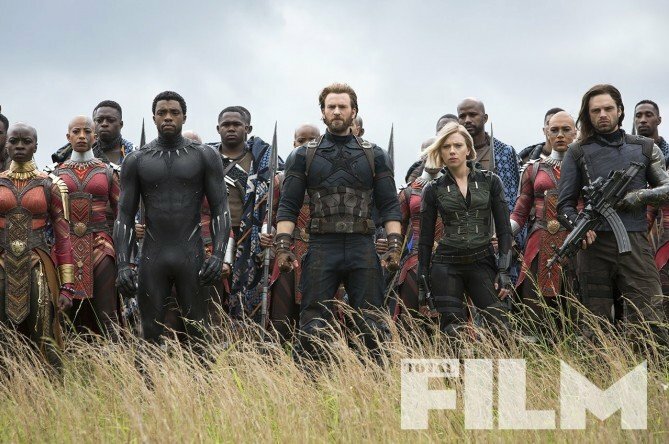 Word comes by way of Marvel’s official Twitter feed, which begun the 50-day countdown with an epic, though not exactly new 10-second promo (see below) featuring Earth’s Mightiest Heroes preparing for battle. Wakanda is at war, it seems, and it’s up to Black Panther and his tight-knit crew to save the day. Other familiar faces glimpsed in the slow-mo shot include Black Widow and Bruce Banner, and those who caught Marvel’s 100-day countdown promo will find this one very, very familiar. As you can see, there’s nothing in the way of new footage here, but with just under two months to go now, that next and final trailer is bound to debut any day now. Speculation online points to Friday, though Marvel’s yet to announce anything official. Still, this latest promo is surely an indication that they’re ready to drop it on us shortly, right? In related news, with only 50 days left until Infinity War storms theaters, box office analysts have begun making their early predictions. The current estimate is a $215 million domestic debut, which would make it the biggest MCU opening haul (beating The Avengers‘ $207 million), but not quite large enough to top The Last Jedi‘s $220 million or The Force Awakens‘ $248 million. Furthermore, analysts believe the event movie could end its domestic run at $538 million, which wouldn’t be bad, but would still fall quite short of The Avengers‘ $623 million. All will be revealed once Avengers: Infinity War touches down in theaters on April 27th.